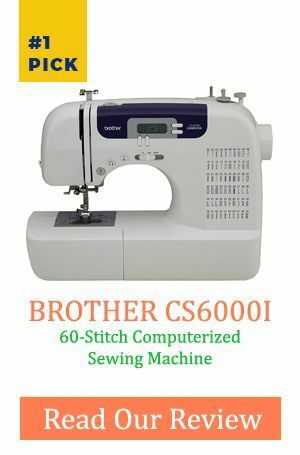 If you are someone who sews, you must be looking for a sewing machine that is powerful and can handle heavy materials and that will help you do your work efficiently and is not about to fail you by putting holes in your fabric or cannot handle heavy leather. This machine excels in performance and versatility, sewing in both straight and zigzag stitches. 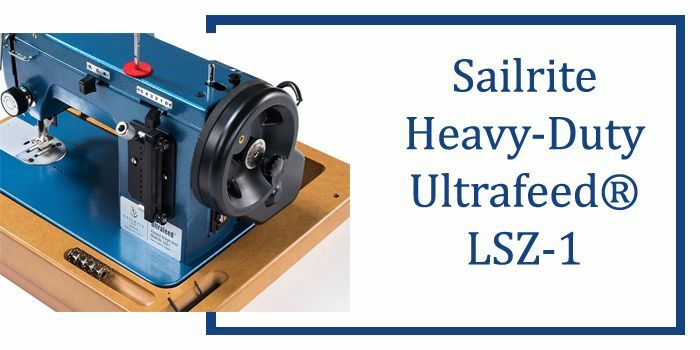 It is built with toughest, most reliable parts to make sewing through heavy materials like sailcloth, denim, upholstery fabrics and heavy canvas. It comes with guidelines that outline setup and use of it. Sailrite’s patented Posi pin clutching system provides 100% power transfer from balance wheel to needle. This process keeps the clutch from slipping while sewing heavy, hard to penetrate fabrics. This ensures that your fabric is made right and with proper precisions. This wheel has twice the power and size of a traditional flywheel for more slow speed power and control. Turning that wheel and powering machine is a 110 VAC motor and a cogged belt and pulley drive system. This mechanical walking presser foot works with feed dog to pull thick layers of fabric through the machine at consistent speeds for symmetrical stitching, in both forward and reverse. It features a built-in welting tunnel for sewing piping and needle positioning levers. 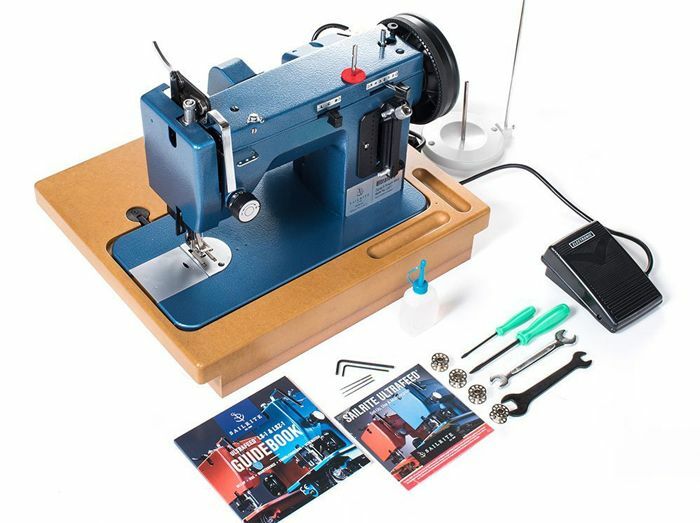 This leather sewing machine easily sews through heavy materials like sailcloth, heavy canvas, denim and upholstery fabrics that can be of ten layers of heavy canvas and eight layers of Dacron. You just design it according to your pattern; maybe zigzag or in the straight design. While buying this sewing machine you get a comprehensive guidebook on kneading, sewing and you get information concerning set-up, use and maintenance DVD, personalized support and an included two-year limited warranty thus you will use it without fear of defaults. Zigzag and straight stitches that this sewing machine stitches are perfect for heavy duty materials. Q. How do you lift pressure foot up and down? A. To lift presser foot up and down, you need presser foot lifter. Pressure foot lifter is level found in pressure foot at back or side of sewing machine depending on brand or model. You can lift presser foot by lowering or raising presser foot lifter. Q. How do you choose a sewing pattern? A. Majority of commercial sewing patterns come with different sets of measurements; body measurements and finished garment measurements. Key to choosing a sewing pattern has correct body measurements. Q. Which way do you turn hand wheel? A. Hand wheel should always be turned towards you in a clockwise movement. A faulty sewing machine not only affects your productivity but also affect the quality of your sewing. Whether you are a beginner in sewing or you are an expert in sewing, troubleshooting a sewing machine is one of the most important things you can learn.